Turkish President Recep Tayyip Erdogan will deal with the issue of the release of the Kremlin prisoners, according to Ilmi Umerov, Deputy Head of the Mejlis of the Crimean Tatar people. Umerov stated that the corresponding agreement was reached on October 26, the day after the release of Umerov and Akhtem Chiygoz, another Deputy Head of the Mejlis. “The next day after liberation, we had a meeting with Recep Erdogan. It lasted about 20 minutes. We thanked him for his assistance in our release, noted the fact that this release does not solve the problem in general, as more than 40 people remain hostage of the Russian Federation. In addition, 16 people are kidnapped and their fate is unknown. We asked Erdogan to deal with these issues,” Umerov informed. He believes that Erdogan is in a better position on this issue, since Vladimir Putin, the President of Russia values relations with those leaders who did not alienate from him after the annexation of the Crimea and beginning of the military aggression in the Donbas. “Putin became a dishonest person for most of the former partners and leading countries. Therefore, he should cherish relations with Turkey, which does not join the sanctions regime (sometimes we do not understand this, but this is a fact). One of the few presidents who shakes hands with Putin is Erdogan. And he can not ignore our request,” the Deputy Head of the Mejlis said. As part of the request in facilitating the release of Kremlin prisoners, Umerov and Chiygoz determined the release of Oleg Sentsov as a priority task. “Erdogan agreed that he would deal with issues of political prisoners and those which concern the Crimea and the Crimean Tatars. Akhtem and I, we both designated one figure as a No.1 priority. That is Oleg Sentsov - an unbroken Ukrainian patriot who was sentenced to 20 years’ imprisonment and now is in the Yamalo-Nenets Federal District. Erdogan agreed," Umerov informed. 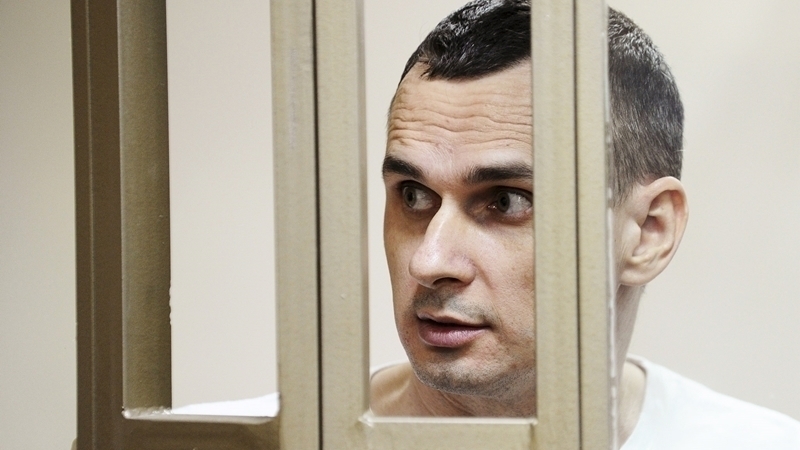 Earlier, in August 2015, a court in the Russian Federation found Oleg Sentsov and Aleksandr Kolchenko guilty of allegedly creating a "terrorist organization" in the Crimea, committing two terrorist attacks and preparing another one, as well as in an attempt to acquire explosive devices and illegal storage of weapons.